In Australia, perhaps more than any other country in the world, having an outside area where you can relax and entertain is not only a nice to have… It’s virtually a right! 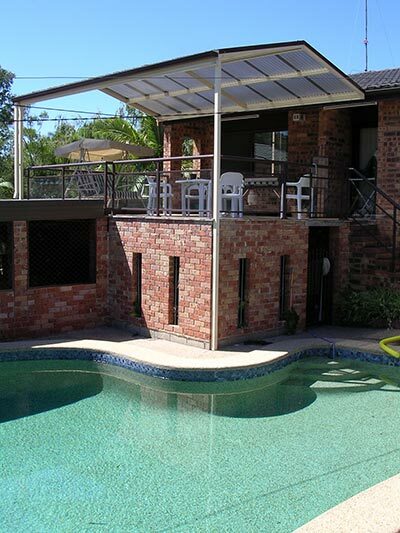 From Tasmania to Tropical Queensland, and Byron Bay to Bunbury, every Australian home can benefit from a well-planned and designed patio, pergola or verandah. So what’s involved with planning your outdoor living area? The most important thing to remember when planning an outside living area is your requirements. A massive outside living area with an outdoor kitchen and spa might sound appealing, but if you’re only going to use the area occasionally it’s probably not a wise investment. Likewise, a small and sparse area will soon outgrow its usefulness if you like to entertain regularly. Outside Concepts not only build great things; we also have a thorough understanding of the importance of the planning process. We’ll discuss and help you decide on aspects such as size, position, style and materials and guide you throughout the entire process, so that you can be assured of ending up with an outdoor area that you can be proud of and will perfectly meet your requirements. Just as importantly, we’ll discuss your budget and ways that you can keep costs down without impacting on the final result. Then and only then, will we provide a free design and quote for your new outside living area. Sound appealing? Then what are you waiting for, give Outside Concepts a call today!